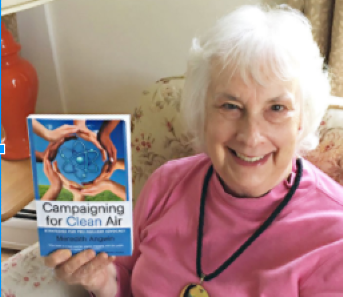 Meredith Angwin is a devoted nuclear advocate and author of the recent award-winning book Campaigning for Clean Air. Her book is designed to help people get started with their own nuclear advocacy. She serves as one of two Vermont representatives to the steering committee of the Consumer Liaison Group of ISO-NE, New England’s grid operator. 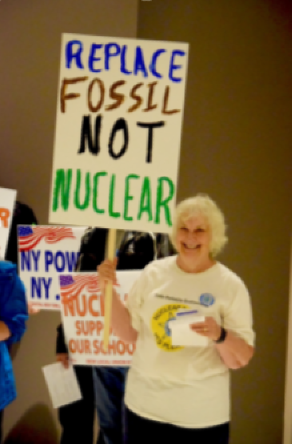 She also writes at her blog Yes Vermont Yankee, is a guest writer for Energy Northwest and the American Nuclear Society blogs, and writes for Nuclear Engineering International Magazine in Britain. She received a President’s Citation award from the American Nuclear Society for her outreach work. Meredith's innate adventurousness and curiosity took the lead throughout the many different stages of her admirable career. Always steadfastly pursuing truth in science, she followed what spoke to her without hesitation and is now one of the most accomplished nuclear energy advocates around -- and she's never going back. Meredith speaks to groups, organizes pro-nuclear rallies and does everything she can to help “move the needle” to community support of nuclear energy. But she wasn’t always a nuclear advocate. For most of her life, she says, she was a nerd -- fascinated with science, with an exceptional knack for research and a constant passion to find ways to improve the technology that powers our world. Meredith holds an M.S. in physical chemistry from UChicago. In her long research career, she worked on corrosion control for nuclear plants, was an inventor on several patents in pollution control for fossil fuels, and was one of the first women to be a project manager at EPRI (Electric Power Research Institute). While at EPRI she transitioned from working with the renewables group to the nuclear group after she became personally in favor of nuclear. In college, she became interested in geology and geochemistry. Her interest narrowed to geothermal energy in particular, and she graduated hoping to work in geothermal. She married George Angwin, who was a math major and had an NSF fellowship for his Ph.D. in math. She was eager to work as a chemist, but two kids and a move to Normal, Illinois (where her husband was a professor) got her career off to a rocky start. There wasn’t a lot of chemistry going on in Normal at that time, so work options were limited. Eventually George and Meredith decided to relocate to an area of the country where there was more opportunity for both of them to have careers. Finally, her dream job came -- working in the Renewable Resource division of the Electric Power Research Institute in Palo Alto. She was of the first women Project Managers at EPRI. In her very limited spare time with a job and two kids, Meredith was in a writer’s group and wrote poetry, short stories, magazine articles and essays. She realized a new passion for writing, and worked to develop her skills. “I learned a lot about writing. But no activism yet -- still just nerdy." 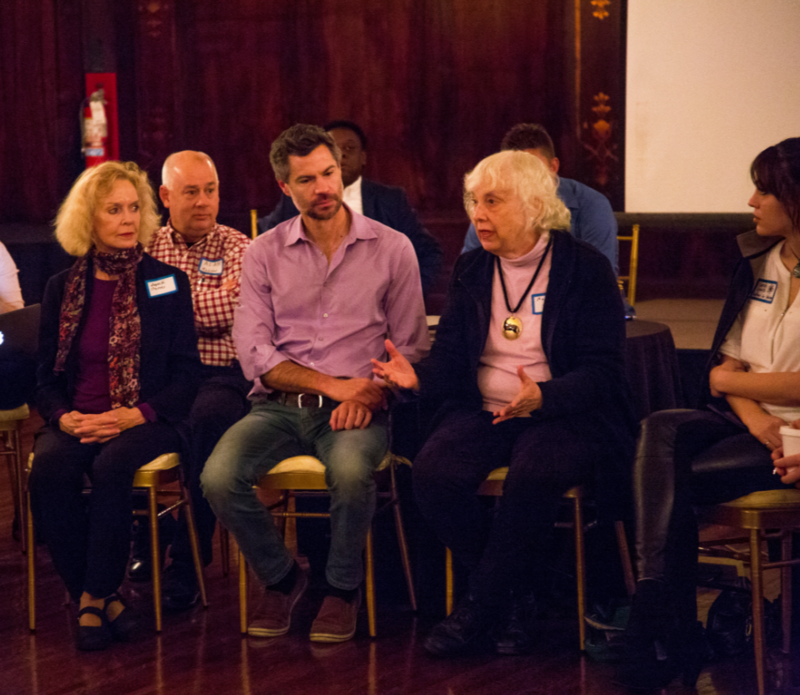 Campaigning for Clean Air guides nuclear advocates on their advocacy journey. It’s a comprehensive roadmap for anyone looking to join the nuclear energy cause that offers insight about how begin being an advocate. She covers a range of skill sets from public speaking to outreach in order to inspire the work of new advocates. There is a growing group of people who appreciate and understand the many benefits of nuclear and its necessity as an energy source, but don’t know how to spread the message -- yet. Meredith sees this group as the future of the nuclear energy cause. Also visit her website, meredithangwin.com and her blog meredithangwin.com.